Do ever crave something salty and sweet at the same time? Now, this particular craving isn’t so hard to satisfy anymore with the new M&M Pretzels! These little balls of crispy goodness are the same milk chocolate candy exterior shell that we all have come to know and love from M&M’s with a crunchy pretzel nugget centre. The taste is pure heaven! M&M’s knew that there was chocoholics out there who longed for a snack that was both sweet and salty so they were happy to oblige! And as an added bonus, these tasty treats have 30% less fat than the other leading chocolate snacks on the market. They come in three sizes- 162 g stand pouch (good for a party to share), 92 g pack (enjoy at the movies) and 32 g pack (eat on your own and only share if you want to!). I was sent some 32 g packages of M&M’s Pretzels to try out. M&M’s peanut has always been my favourite kind of M&M’s so I couldn’t wait to see how the new addition to the family would taste! I was not disappointed. They were the perfect combination of sweetness and saltiness and I couldn’t stop eating them. They are super addicting. I loved them! John also tried to hog all the bags and keep them for himself. He really enjoyed them too. He slowly savoured his by eating the crunchy chocolate shell first, then saving the pretzel centre for the last. I am more of the impatient type, and finished mine off with one bite- instant gratification! 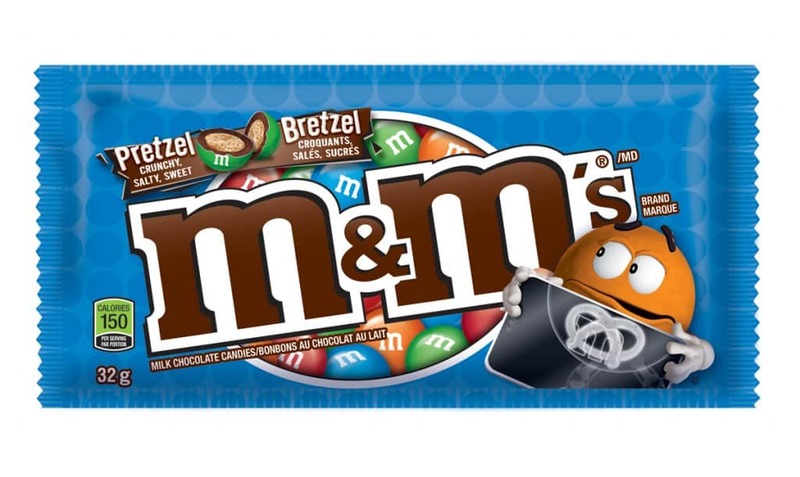 Try out the new M&M Pretzels and see how they compare. They are now available across Canada. Here’s an idea for M&Ms for another product- what about M&M’s in white chocolate with a pretzel centre? I bet that would be just as delicious! But I couldn’t agree more these are yummo. I love Peanut M & M’s. 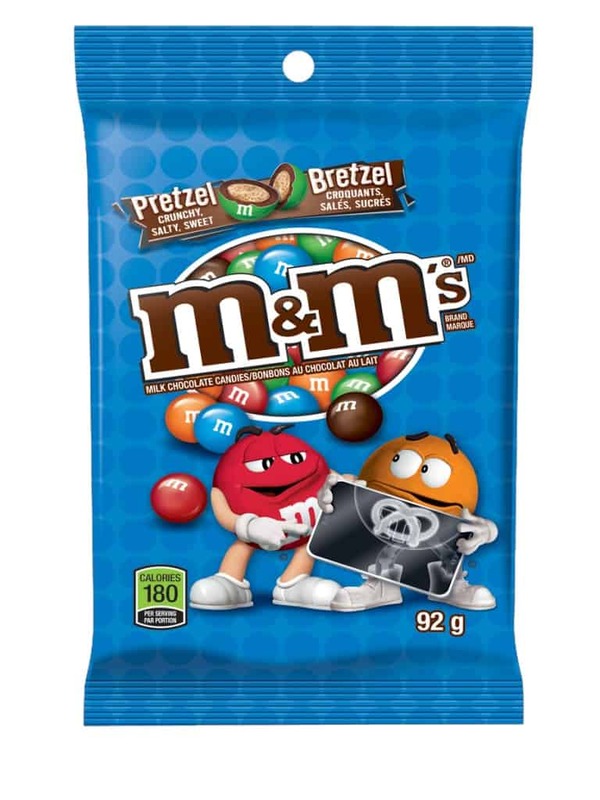 I have not tried the new Pretzel M & M’s, yet, but I will soon. I am a chocoholic! I’ve been snacking on these too! yum!